Strategy is important here due to the trouble down the left hand side. 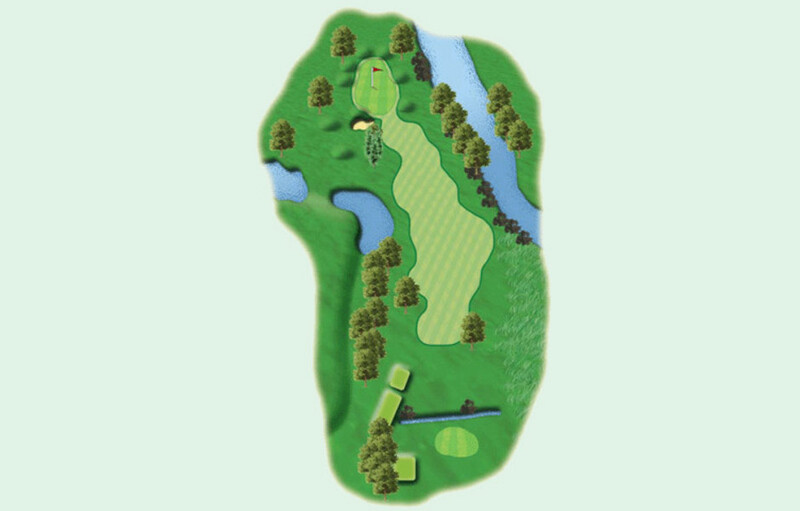 Firstly, the tee shot must be shaped around the huge chestnut tree to open up the approach to the green. Then take care to avoid the lake to the left, and the greenside bunker, before putting out on this tricky green.